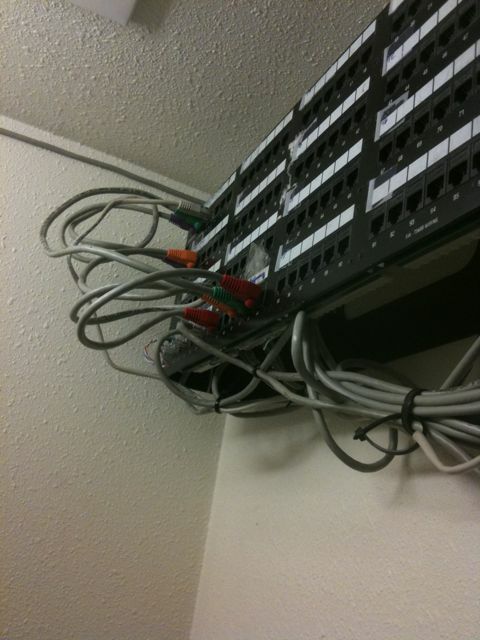 We tidied up the server closet a bit by building some shorter patch wires and strapping almost everything down. 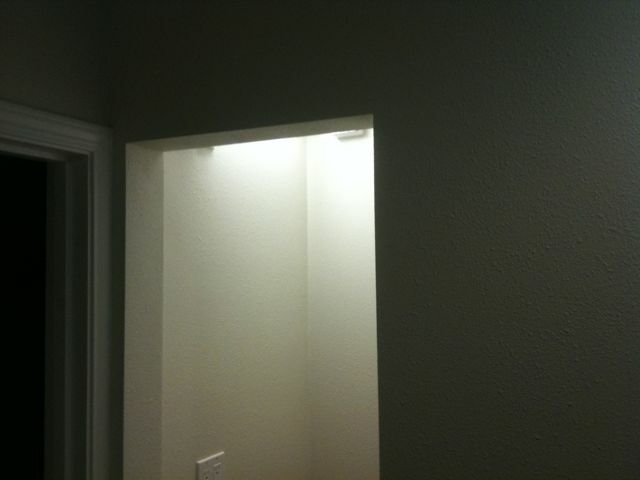 With the hanging wires out of the way, you almost can’t see that it’s anything other than a nice hallway closet (in need of a door). Now you don't see it! 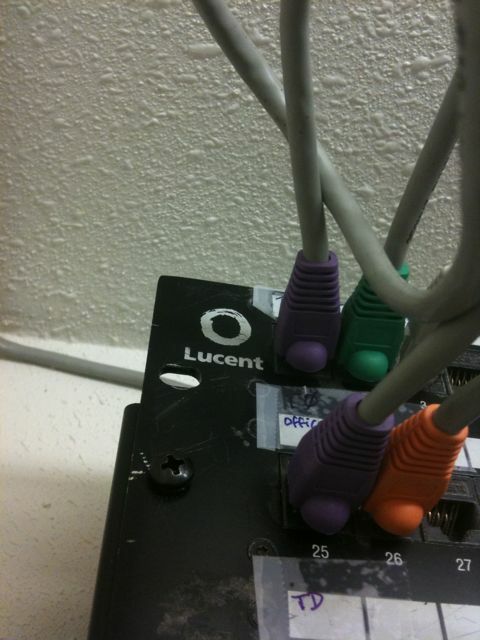 I am curious, since we have been out of touch so long…Is this all for internet at your house? or do you have a business or do contracting work out of your home too? This is all for home networking/phone/etc. 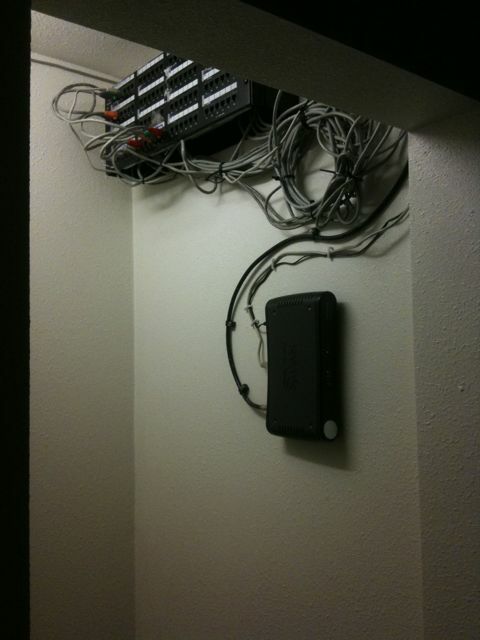 Our home (Steven’s, that is) has been wired for about 20 years, including a number of different sorts of servers, and 1 to 4 home phone lines. It’s never been used for a home business, but it could. Mostly, it’s for flexibility in wiring. We don’t have to rip up walls to change what is routed to where. It’s just never been this neat and tidy before. Looks like quite a big job. I can see you two are staying very busy. At least you didn’t have to crawl inside the attic to pull wire to rooms. That was the scariest thing I’ve ever done. At our old house one of the repairmen had to crawl under the house to check a cable connection. Nasty icky and dirty. Glad to see that things are coming along nicely. Amul: I’ve crawled in both attic and crawlspace. The Smurf tubes are great because it means you can re-pull without having to go anywhere icky.